The Pinnacle | A Split Placement Selfie Celebration in Top Echelon! OCCASION FOR CELEBRATION: Making placements and taking selfies NEVER gets old. Just ask Dave Sgro, CPC of True North Consultants, Inc. and Joanna Spaun and Maria Hemminger of MJ Recruiters, LLC. This is not the first split placement selfie they’ve taken . . . and it most certainly will not be the last. This phenomenon has grown into a regular celebration of two Top Echelon Network recruiting firms wanting to show their appreciation for one another. 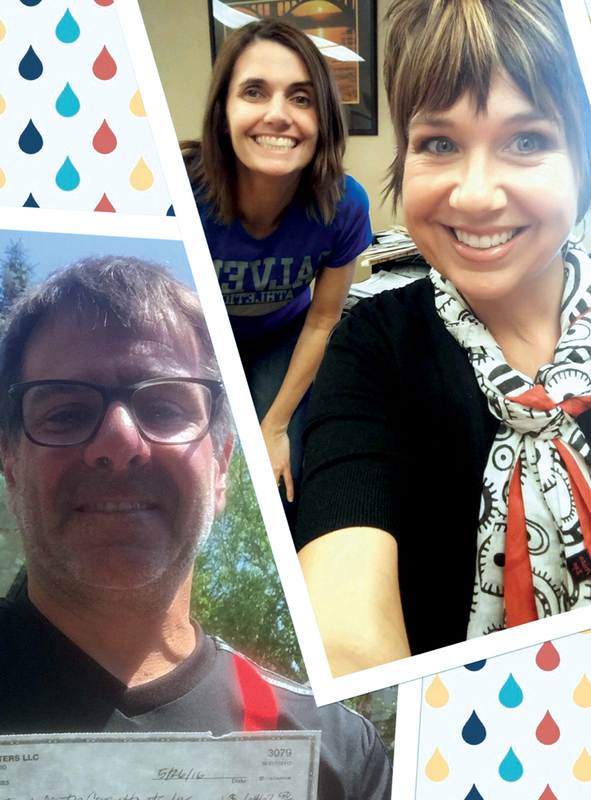 While other Network recruiters have participated in split placement selfies, the recruiters of True North and MJ Recruiters have undoubtedly led the way. They are “selfie trailblazers,” so to speak. Make a placement with a split partner. Each of you takes a selfie. Put the selfies together in a collage (see photo above). Email the photo to marketing@topechelon.com. Enjoy reading the article we write that sings your praises. So what are you waiting for? Get out there and make placements! Take selfies! Make collages! Repeat as necessary! Submitted by Maria Hemminger of MJ Recruiters, LLC regarding her Network split placement with David M. Sgro of True North Consultants, Inc. Remember, if you’d like to share your split placement selfie with the rest of the Top Echelon Network membership, send your photo and any accompanying information to marketing@topechelon.com!